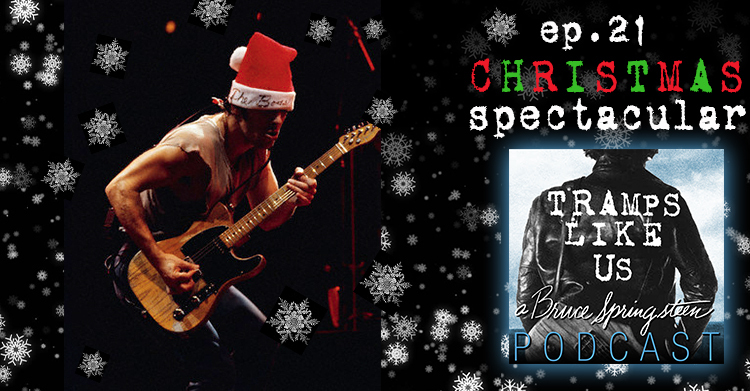 It’s a Tramps Like Us, Bruce Springsteen podcast Christmas spectacular! We’re gonna let that spirit take us right down Santa Claus lane. An audio Christmas gift to you. Some Springsteen xmas music, some E Street xmas music, and some xmas music that has nothin’ to do with Bruce or E Street. Thanks for listening and have a cool yule. fucki’n great i love it super kool enjoy yor christmas..